Home Latests Posts Tremors actor – Michael Gross in the hot seat! 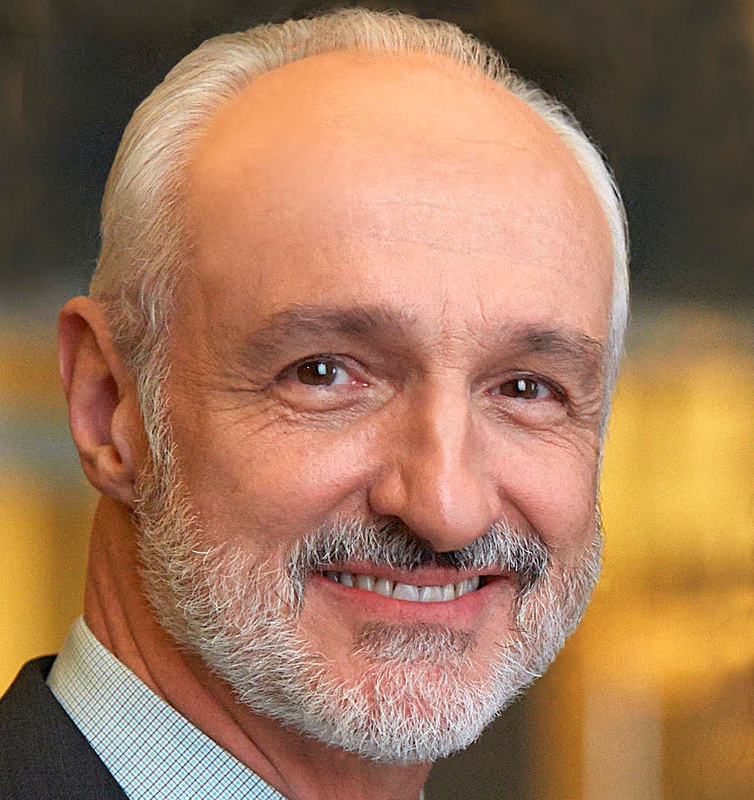 I recently had a lot of fun interviewing actor Michael Gross. We talked about his roles on Family Ties, the Tremors franchise and his latest film Last Call At Murray’s, amongst a host of other subjects. PC: You grew up in Chicago and I read that it was not maybe the best of neighbourhoods. MG: It was a rough neighbourhood in some ways. It was not a ghetto but it was definitely lower middle class. It was not poverty stricken: it was postwar America, the 1950s and people had well-paying manufacturing jobs. There were a lot of first and second-generation immigrants – a few tough customers here and there but, by and large, they were good, hard-working people, and I am still in touch with some of my friends from the old days. In some ways the streets were safer than they are today because in those pre-air conditioning times, in my city of Chicago, everyone sat out on their porches in the summertime to get a cool breeze, so there were dozens of pairs of eyes watching you as you played in the streets at night. Today people are more likely to confine themselves to their homes – their entertainment centres, and social media – so in some ways the streets are less safe. It was, in general, a very decent neighbourhood with some very good people with whom I am still in touch. PC: You had a period of time where you were kicking around with the bad boys did you not? MG: It never amounted to much. We were a few ne’er-do-wells, who thought ourselves a lot tougher than we actually were; like most groups of young boys who hang out because each of you, individually, are terrified. There is an imagined strength in numbers. I think I got into the most trouble: grand larceny, breaking and entering, that sort of nonsense. I was just trying to – I do not know – just keep myself busy, pit my intellect against the intellect of the authorities, but the fact that I got caught so often made me realize my intellect was not quite as evolved as I thought. So, rather than persist in my foolishness, I decided to go straight. PC: That was a wise decision I feel! MG: It was very definitely on the wrong career path. But I was insightful enough to know if I kept getting caught, I was not cut out for that line of work. The point was to prove myself superior, but I was constantly proving the opposite. PC: How did your parents deal with those incidents? MG: They were fit to be tied, they were so angry at me! There had never been anything quite like that before in the family, so naturally there was a good deal of shame involved. The thing that struck me most was my father’s disappointment, rather than his anger. When someone you hold dear to you is gravely disappointed in you, that is often worse than corporal punishment. PC: You abandoned that lifestyle. MG: Yes I really did. I was always a smart kid. I was just bored more than anything. I was trying to see if I could commit the perfect crime. PC: You make it sound quite appealing! MG: Yeah, right up until the time I got arrested. I had more sense, and finally that good sense won out. PC: I was going to ask you where your passion for acting came from, but then I saw a picture of your mother, where you commented that the apple does not fall far from the tree because she was always clowning around. MG: Very good, very good! That had a lot to do with it. Mom was totally fearless in that way. She was a clown, she was a mimic, an impersonator, and in another time she might have been a vaudevillian. It was a chaotic household in some ways because it was not unusual, if a good song came on the radio, for my mother to abandon the housework and dance around the kitchen. PC: Well she sounds like a woman after my own heart, that is exactly what you should do! She sounds like a lot of fun. MG: My sisters and I would often wonder, ‘Will Mom be serving dinner tonight and, if so, what time might that be?’ So things were a little crazy, but inspirational as far as my choice of careers. Mom had always sung in church choirs. She loved music and song so, following her lead, I became involved in choral work in high school. One thing led to another and the first thing you know, I found myself in a high school musical. Several high school musicals later, I found myself in college, where one of my friends from high school asked, ‘So why don’t you try out for a play here at the university? I finally did, and it changed my life. In fact, the man who directed me in that first college production was not only my first acting teacher, but a mentor, a life coach and – over three decades ago – the best man at my wedding! PC: Did you move out of Chicago? MG: I could not afford the cost of room and board so attended the University of Illinois in Chicago, rode to school on public transportation and lived at home. The University of Illinois is where I truly began to develop my skills and, at the end of each school year, ran off to do summer stock. After graduation I wound up at a very good school indeed, a graduate programme at the Yale University School of Drama; Yale had a renowned School of Drama, along with their Schools of Law, Divinity, Art & Architecture, et cetera. I was there for three years with some very prominent classmates: people like Meryl Streep and Sigourney Weaver, who were both about a year or two behind me. It was a great school, a great training ground. Before film and television, I spent most of my time in the theatre; it was my chief passion and I did that almost exclusively for many years, in theatres all across the United States. That is where I solidified my training. As part of several major theatre companies, I could work without having to worry about auditioning all the time. Nine months out of every year I had employment, my version of the British model of going off to the provinces to learn one’s craft. There was no better training ground. Then one day, many years later, television came knocking at my door, one thing led to another and I found myself in Los Angeles: meeting my California native wife, finding increasing amounts of work, and moving here permanently. I have now lived here over thirty-five years, longer than I have lived anywhere else. PC: Do you go back there often? Have you still got family there? MG: Yes, and yes. I will be returning this summer to visit family and friends. I try to get there at least once a year. I returned more frequently when my parents were still alive, but I have a sister there and cousins who I dearly love and other people, like schoolmates, with whom I am still in touch, so I return with some regularity. I love my home town. PC: Obviously your time on Family Ties was huge but did you have any roles before that? That, by the way, has all changed: although I still love theatre I have not done it for many years because I no longer care for the schedule. Left to my own devices, I am a day person, not a night person; I am at my prime in the day, rising and retiring early. At dinner time, rather than preparing to go on stage, I prefer having a glass of wine with friends and loved ones, preferring to have someone entertain me rather than my entertaining them. I also no longer care to work weekends: Friday and Saturday nights, Saturday and Sunday matinees. PC: It is a heck of a commitment really isn’t it? MG: It really is. In fact, I missed my own daughter’s high school and college graduation, because graduations are frequently held on Saturday afternoons, and I always seemed to be performing a matinee. When my daughter had children of her own I thought, ‘I’m not going to repeat that with the next generation,’ so now make myself available for all those games of soccer (‘football’ as you call it), volleyball and other activities. I try to be a very ‘hands on’ grandfather, and love having my evenings free. PC: Another actor I interviewed told me he tries to only take roles near his hometown as much as possible so as not to miss tucking his young kids up in bed at night. MG: You only get one chance to do that and children grow up so quickly. So I am not quite as interested in in theatre or other long commitments. That being said, my former co-star from Family Ties, Meredith Baxter and I, will be doing a theatre piece this summer in the eastern United States. My wife will join me and we will make a little vacation out of it; but it is a very short commitment, only one week of rehearsal and one week of performance. PC: That sounds ideal, especially if you can get a vacation as well. MG: Yes, absolutely! So that sort of thing I do not mind, but I have trouble making lengthy commitments these days. Priorities change. PC: Getting back to Family Ties, that was absolutely huge at the time – I mean massive – it took a huge percentage of the overall viewing audience. MG: It really was! Of course we had far less competition. In the early days of Family Ties there were only three national networks: ABC, NBC and CBS. That was it. Several years later, Fox came on the scene and, as time went on, there were more and more. In the beginning, we kind of had the place all to ourselves. It was not unusual for us to have well over a third – maybe 37-38% of television viewers watching us. MG: Yes, exactly. Those were the days before DVRs and that sort of thing. A different time: people made an appointment to see their favourite television show. PC: Yeah! At that time you must have got recognised everywhere you went. How did you deal with that vast amount of fame and recognition? MG: Most people were unfailingly kind – they really were. The character I played was such a nice guy, so people were rarely belligerent: they were grateful for the show. It made them laugh, made them think, so they were usually very polite. It was not as if they were picking fights with me, but their enthusiasm could get the better of them. Occasionally I would be interrupted when was dining out, and I would politely say, ‘I tell you what: I will come over to your table just as soon as I’ve finished here.’ I did not want to call them out or humiliate them in front of a crowd, but would simply suggest I pay them a visit at after I finished my course. MG: I realized very soon that it took very little to make someone else, a complete stranger, extremely happy. It cost me very little – a few minutes of my time only – and they were thrilled. So it was no big deal; it really was not. People often ask what it was like to be so visible, so recognized, but that phenomenon was not unfamiliar to me. My grandparents lived in a small town in Iowa, and as a young boy, I was amazed that complete strangers would approach me on the street, introduce themselves and say, ‘Good morning, Michael. I know who you are. You’re Ruth and Chet’s grandson. They told us you were visiting.’ As a little boy, I couldn’t walk the main street of that small town without everyone seeming to know who I was. Fame is just a larger version of that small town, where complete strangers seem to know who I am. MG: And of course they do not really, but you try to meet their expectations. It need not involve a great deal of my time, just a moment or two, and they are delighted by sometimes the slightest gesture. MG: Yes and, as I said, it does not cost me a lot. PC: It is completely different now, with actors having to deal with social networking. You know, someone spots you in a museum, takes a photo and it is straight on Twitter. It is a whole new level of privacy invasion. MG: Yes you have to be extremely careful now, how you conduct yourself in public. MG: Avoid public fights with your spouse! (Laughs) Most often, people think they know me, think I look familiar, but they can’t identify the context. Of course, no longer having a weekly show makes me much less recognisable. Strange as it seems, I run into younger people all the time who are unfamiliar with Michael J. Fox. MG: These are young people. I suspect they have not seen Back to the Future because it is ancient – over 25 years ago, before many of them were born. While I do not expect these kids to know me, I am astounded they do not know Michael. PC: Again I am surprised. I would think everyone knows Michael J Fox! MG: Not a lot of teens. It is all Justin Bieber, Lady Gaga or whoever else is current. PC: You had dinner with him as recently as last year didn’t you? MG: Yes, we saw each other last autumn. He lives 3000 miles away, so I do not see him as often as I would like, but when I go East, I try to connect with him. There are another few people there who worked on Family Ties – one of the writer/producers who I visit from time to time. The Family Ties cast are still close – Meredith, myself and our other ‘children’ who are now quite ancient themselves. So it has been nice. We do not keep in touch as often as we would like; I am busy with grandchildren and they are busy with their own children. 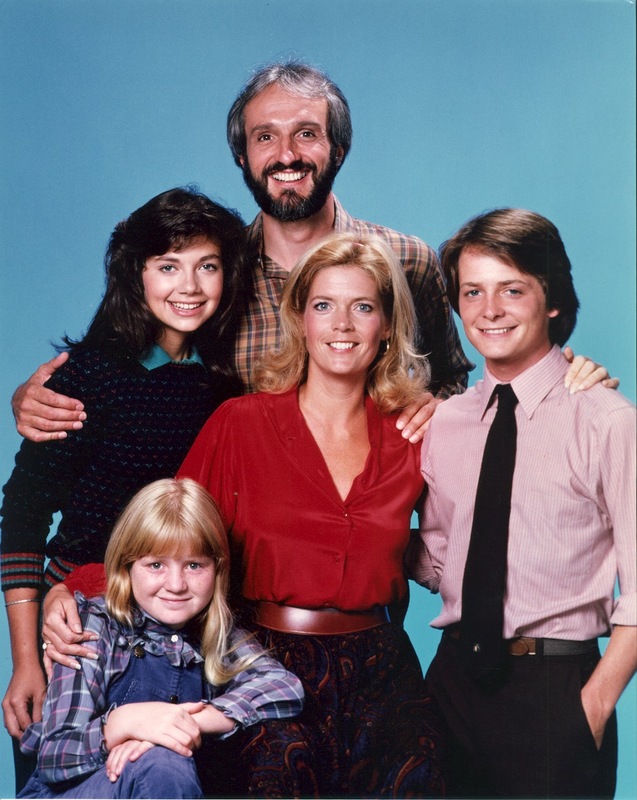 PC: Was your wife a casting director on Family Ties? MG: We taped the show at Paramount Studios and my wife was the Paramount executive who oversaw the casting of all the shows. Some of these shows had additional casting directors, but my wife supervised the financial negotiations. Ironic, as she was the person with whom my agent – my representative – sparred over compensation, with my wife as the adversary. The joke is: had she known then, what she knows now, she would have done a lot better for me! MG: Exactly! (Laughs) It was about two years after that we became friends and confidantes, more ‘social’ friends. It was strictly platonic, but I genuinely liked her. PC: What is her name? MG: Her first name was Elza – a salute to her German heritage, though her last name was French – Bergeron. Elza Bergeron, a beautiful name. After about two years the liking we had for each other slipped into something much more romantic and we married after completing the second year of Family Ties. She had two teenage children of her own, really great kids who, all these years later, are pushing 50 years of age themselves. Our daughter, who was 16 when I married her mother, has two children of her own who are 15 and 16 years of age, so my grandchildren are the same age as Elza’s were when we married. Kind of amazing. It was really a blessing because so much came from my career choice. Who knew…? I audition for a college play and that director becomes the best man at my wedding. I come to California to do a television series, and meet the woman I am to marry. That was the greatest success of Family Ties, as it led me to a whole different place, personally. PC: Pretty much as Family Ties ended you got Tremors almost straight away? MG: Really almost immediately. I was still performing Family Ties, I auditioned for and was offered Tremors, and I was most grateful for the fact that the question which was before me – ‘Would there be life after Family Ties?’ – was answered in the affirmative – and with a very different sort of character. PC: It must have been quite liberating or refreshing to break away from your role as a sweet father to a completely different type of man in Burt Gummer. MG: Yes and that is a large part of the fun of what I do for a living. I do not particularly care for a steady diet of anything. I love different characters: love flitting around and trying on different clothes, different personalities. That to me is the real fun, and I suppose that was my theatre background; you do not play one character for years and years in the theatre, but keep going from one to another. That was the excitement. PC: Were you worried when you found out Family Ties was ending as to where the next job was going to come from, or was it so huge that you knew there would be other work? PC: I heard that you are somewhat of a ‘prepper’ yourself, like Burt. MG: Not to that degree, certainly. PC: But you do have your earthquake kit ready. MG: I do. I am very conscious of the fact that we live in earthquake country and I do try to have some proper kits and things like that, but I am by no means a gun lover. PC: What about these people that gave a huge stock of food and water? MG: I am not quite that paranoid but the wonderful thing about Burt is that his paranoia is so over the top, so far ‘out there’ as to defy belief. What makes him fun – and comedic – is his excess. Everyone should have a healthy sense of preparedness, per se, you have a fire extinguisher on the grounds that someday there may be a fire in your house and I do not believe in saying, ‘Well I’m not going to get a fire extinguisher because that will never happen,’ or, ‘I’m not getting a smoke detector in my house because there will never be a fire.’ Well, for God’s sake, we have plastic bandages in the house; everyone should have a few plasters and that kind of thing. But Burt has one of everything! If one is expecting Armageddon, he needs months and years of food, not just a small stockpile. But that is the comedy of that character, the extremes of paranoia and suspicion. PC: What about outdoor skills? Have you explored much of that in your personal life? MG: My wife and I have done some camping in the past but she has her limits with that: two or three nights then she says, ‘I want to go to a hotel or motel for a good hot shower.’ We have never been big campers. We do day hiking and things like that, but we are not ones for going into the outback and pitching tents. PC: Was it just a typical audition for Tremors or did they send the part to you to look at? MG: At first I thought it was a mistake, because the role was so unusual, and I said ‘Why would somebody send me this? The father on Family Ties for seven years, surely they have mistaken me for someone else.’ But they assured me, no, they wanted me. They thought I was a fine actor, so would I be interested in coming in to read for them? And I did. To this day, Ron Underwood, the director of the original Tremors, and I disagree on the circumstances of the audition, because he claims that I actually jumped up on his desk, imaginary gun in my hand, chasing these monsters and I have absolutely no recollection of that. I cannot even begin to imagine myself doing that sort of thing – the impropriety of jumping on his desk! PC: Says the guy who sports an earring, that is pretty ‘out there’! MG: That’s funny. My wife found one of my earrings on the bathroom floor just yesterday. She said, ‘Is this yours?’ Seriously, how many wives have reason to say that to their husbands? MG: My wife said, ‘I’m not particularly interested in my husband having an earring.’ I countered with, ‘How about a diamond stud for me… and one for you.’ That changed her mind. Let me deal with my male menopause in my own way, I argued. ‘It’s a lot cheaper than throwing money away on loose women, gambling and fast cars. It’s just a pierced ear!’ The diamond stud clinched the deal. PC: So there is that side to you. Maybe you did put your foot in that guy’s desk… I just rented Tremors 5 to refresh my memory, I enjoyed it. What was the scene with the lion like? Was there an element of risk or was it all really safely controlled? MG: It was pretty safe. I was behind bars and so I felt relatively safe. My biggest fear was a sunburn. My mother was half-Irish and had very light skin; so, of course, I slathered myself with factor 50 sunblock for protection and kept an umbrella inside the cage between takes when they had to reposition the lion – the lion would wander away uninterested. PC: It was not interested in eating you then? MG: Apparently not. I had fresh meat in the cage to keep the lion’s attention. Not enough meat on my bones. PC: What was it like being that close to a lion? They are such majestic animals. MG: It was massive, but I kept my distance from its paws so it could not touch me. Like I said, my main concern was staying out of the sun, because I was clad only in boxer shorts. All in all, I was probably in the cage a couple of hours, lathered in sunblock with a capable crew around me. I had my umbrella. I had water. Film can be difficult, and there can be some challenging moments, multiple takes, but for a true workout, there is nothing like eight performances a week in the theatre. No question about it: filming is definitely easier. PC: You must have had many, fun memorable moments on the set of Tremors are there any you can share? MG: I will tell you one of the things that is funny, because they did not let me do it. I have to laugh because it was my idea and it was rejected. See, I have always loved the British music hall tradition of men dressing as woman, and it is something also done in Kabuki theatre. Men play women’s roles and I myself on a couple of occasions have played either transvestites, or in some cases I have played an actual female. In Tremors 4, I played my own great-grandfather, Hirum Gummer. But I had pitched – unsuccessfully I might add – that I play my great-grandmother, meaning that Burt had acquired his tough no-nonsense quality from the female side of the family, not the male side. I had this idea, based on the history of the western frontier, when men would find mail order brides – women who would answer an advertisement in the paper requesting a mate. There were women desperate to leave their own surroundings, desperate for adventure, and a bachelor would pay a certain amount of money to a matchmaker who would arrange to ship a woman West. So I imagined Burt’s great-grandfather as a diminutive, unassertive man who had sent away for a bride, but the creature who emerged from the stagecoach was this ungainly six-foot plus female who was as tough and assertive as he was reticent, the joke being that Burt had actually acquired his testosterone from a female ancestor. I begged the producers to let me play my own great-grandmother. PC: That would have been hilarious! MG: That was my feeling, but they said, ‘No, no, we can’t do it; we can’t go that far.’ Bear in mind, I would have loved to have played it ‘straight,’ not as some caricature, similar to the way Dustin Hoffman play a female in Tootsie. What a wonderful challenge for me it would have been to actually play a female, a woman two heads taller than her husband. PC: I was watching the clip where Burt is pointing out the virtues of pantyhose (tights) in a survival situation. The way you delivered your lines in a deadpan manner added so much humour to it. MG: That is quite true though you know: hunters will wear those. It’s not nonsense. We try to be authentic in the things we are advocating, and that is something that is actually done from time to time, putting an old pair of pantyhose to multiple use in survival situations. Funny but true! So Burt is always fun to revisit, and it looks as if Tremors 6 will be released early in 2018. PC: How long were you out there shooting it? MG: I was in South Africa approximately seven weeks and I really had to keep in shape: power-walks, stretches, yoga and all that sort of thing. I warmed up before doing anything vigorous, as it’s easy to get hurt at any age. We had a young actress pull a muscle in this latest film: she had not warmed up and she took a leap to the ground, landed the wrong way and tore something in her leg – it was awful, she was in such pain! I am very careful, at my age, to always make sure I do plenty of exercise. Warm-ups before breakfast, exercise before leaving the hotel, I can’t afford not to. PC: What about in down time in South Africa? What did you do? Were you able to enjoy the culture? When my wife finally joined for the final week of filming and we stayed for about a week after, and we did a lot of things together – ate a lot of great food. We had a good time. Cape Town is a beautiful place: lovely beaches, and we did some of the historical stuff – the artsy stuff – so we had a wonderful time. 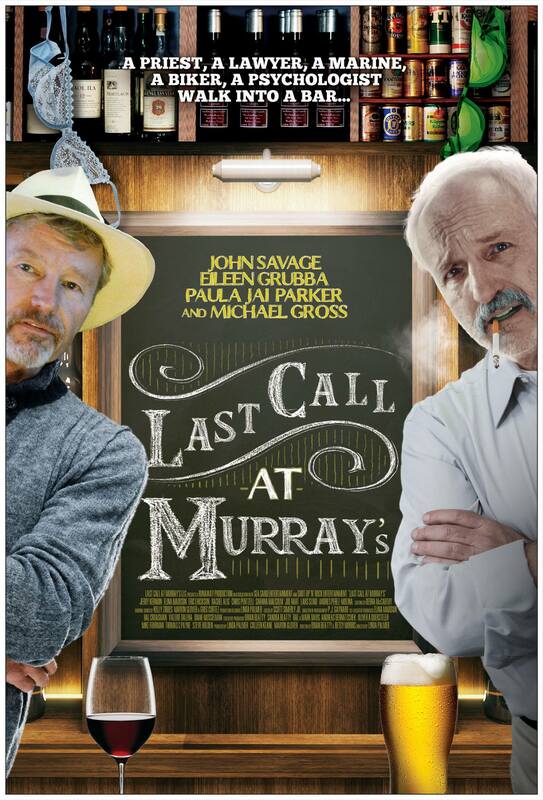 PC: Let us talk about your latest film Last Call at Murray’s. I have watched it and I know it was labelled as a comedy but it does have some deep, meaningful and emotional moments. How would you describe the film? MG: I think of it as a romance because there is a lot of love there between people. There is a kind of hope in it, therefore I would call it a romantic piece. There are tough times, even moments of sadness, but I think of it as an optimistic piece and so would call it a kind of romance: people find love, fall in love, and express their love in a variety of ways. It is light-hearted and optimistic. I found it fun to do because Murray is not the character I am always asked to play. He’s a little tougher, a little rough around the edges if you will, and I very much enjoyed working with Linda Palmer, the Director. PC: You have worked with her before haven’t you? MG: Yes Linda and I had worked once before on a short film entitled Our Father in which I played a man with dementia, late stage Alzheimer’s; that was fascinating. It won a lot of awards at film festivals and things like that. It was really fun for me because it was a wonderful acting workout. I liked Linda enormously so when she came up with this script she said, ‘It’s low budget. There’s not a lot of money.’ I said, ‘I would just enjoy working with you.’ At times, the piece felt like a play: an ensemble with many different characters, and each character having his moment. I thought it lovely. PC: It was a good cast as well. MG: As I said, every character had his moment, and the ensemble truly rose to the occasion. I knew it would probably never play in theatres, would most likely go directly to DVD, but what a great work out! I got to meet some actors with whom I had never worked before, not to mention working again with Linda. PC: I particularly like John Savage. MG: Yes John is a wonderful actor. He and I did an interview a couple of weeks ago together – we had a reunion – a lot of fun as we had not seen each other for months. PC: Where did you shoot Last Call at Murray’s? MG: It was shot in the San Fernando Valley, which is a part of Los Angeles in a sound stage. We had to occupy that bar for days, so the bar was constructed in a studio. PC: Was there a scene you particularly enjoyed? MG: You know, I enjoyed it in its entirety because I just loved the communal feeling of the entire piece. No scene that really stuck out for me because I did not have big scenes. Here and there I would come in, go out, like all the other characters. PC: There was a good twist near the end. MG: Yes that was an interesting twist and everybody made out rather well. PC: Do you think that was a good representation of the type of people that would gather in a bar in a snowstorm? MG: It was such fun to watch. It is like somebody being in a life raft with different people. We have seen those movies where people from the most different backgrounds come together, and normally the chances of them meeting would be almost nil, and suddenly they are thrust into a common situation. You know, black people and white people and poor people, a priest, a woman stripping and you think, ‘Oh my God!’ They are all forced into that situation so I think of the bar as a fascinating laboratory. I thoroughly enjoyed the process, enjoyed the people with whom I worked, and it is great to see it getting a bit of distribution. PC: Now that we are in the ‘Golden Age of television’ would you consider committing to another long term show? MG: Possibly so. If the character was right, I absolutely would do it. If the character was interesting and evocative to me and posed some interesting challenges, I think it would be fine. I am fortunate to have a very comfortable life where I do not need to make massive amounts of money. I can choose things I would like to do as opposed to things I must do, so I am privileged and grateful. I have not spent my money foolishly. PC: It is so expensive living in LA though isn’t it. MG: There are many ways you can fritter away your money wherever you live, but I chose not to. As an actor, I assumed there would be lean years, the curse of all actors and artists. I wanted to guard against the time that people do not want me. PC: Do you think you will ever completely retire from acting or will you keep going for as long as you are asked? MG: If there is something that interests me, but it truly must interest me, as I have to justify it taking me away from my loved ones. 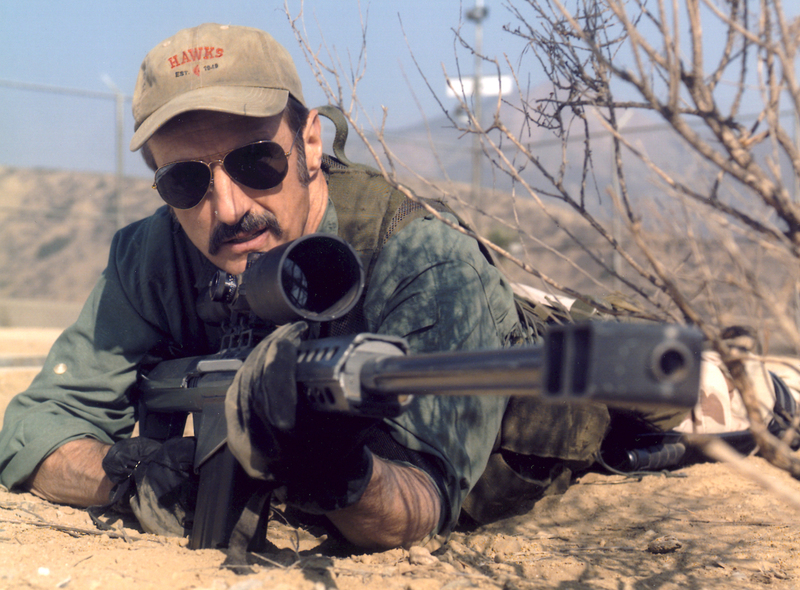 Burt Gummer, for example, is just so much fun, such silly, wonderful fun, and I love taking a part in bringing him back to life. PC: You do know him better than anyone to be fair. MG: I think I do: how he works, how he thinks, how Burt deals with life… I have a special sort of take on that. Universal Home Entertainment is very comfortable turning over the writers’ words to me and asking, ‘What bothers you about this? How do you think it could be improved?’ Being part and parcel of the story-making makes it even more interesting. PC: Will there be a Tremors 7? MG: That could happen, but it depends on the reaction to number six! I will tell you a silly story: I negotiated a producer credit on Tremors 6 but as the production date got closer and I saw the work piling on, I thought, ‘I just want to go and enjoy myself as an actor and I don’t need all those problems.’ So I renegotiated my contract and had my producer name removed! PC: You just wanted the easy life … the fun stuff. MG: My manager asked, ‘Don’t you want the prestige and all that?’ And I said, ‘No, not really. If I have the title producer, people expect too much of me. I just want to go and enjoy Burt. I don’t need a title. I just want to go and have a good time and walk away from the problems at the end of the day.’ I am getting of an age where I know where my priorities lie. PC: Why give yourself the hassle? MG: Yes, yes exactly. Have a good time, enjoy the work you do, but do not treat it so seriously. It is not the cure for cancer for God’s sake! PC: In Last Call at Murray’s, there are some great tunes being sung. I hear you are not adverse to a little Karaoke participation yourself. What is your go-to song? PC: So I need to find those friends…? MG: It is invariably at a party where we have all had too much to drink! PC: What would you sing usually? MG: I go back to the 50s and the 60s, fam, The Everly Brothers, the songs I grew up with. Although I did do Cat Stevens at the last party. I love Cat Stevens: I’ve always been fond of him since his very first album in 1970-71 – Tea for the Tillerman is a big favourite of mine. PC: I read you played guitar in a folk group for a while. MG: I did. I did do that for a while. That was an offshoot of meeting people in my high school chorus. We did branch out and do a little bit ourselves so for a time I was playing guitar and banjo. I do not touch them as much as I used to but it has not come to the point where I can part with them just yet. It all started with music, singing, and one thing led to another – and my God, here we are all these years later! PC: When you did Tremors with Reba McEntire, did any of her country music rub off on you? Did she sing? MG: No she did not sing. She did sing the theme song at the end of Tremors 1, but no, Reba and I spent a lot of time together but it is not like she had a guitar in her hand or anything like that. She was a lovely lady and I still keep in touch with but only on occasion. I have not seen her in a couple of years – we send the occasional email and that sort of thing. She is very busy: she has a concert career and a Vegas show. One of these days I will go pop in and see her. She is all over the place doing tours. That is her bread and butter and she still loves it, those being her origins, her roots. PC: Which genres of music do you like to listen to? MG: It is really all over the place. There is some country and western I like because I grew up in the Midwest. Remember, even though I grew up in Chicago, I spent every summer in that small Iowa town. There is some classical… I am a huge Tchaikovsky fan – I have always been a huge fan of his. And I even love some operas. When I was in high school, I worked as an extra at Chicago’s excellent Lyric Opera. I was over six feet tall, so made a good ‘soldier’ or ‘picador,’ whatever they needed to fill the stage. I also married a woman who loves opera. My taste in music runs to all sorts of things. I can still get weepy over certain songs. PC: That was one of my questions. Is there a song or songs that take you back to a special time? MG: I played the Beatles’ Sgt. Pepper album the entire summer of 1967. I think I listened to it every day. There are songs that are very evocative and then, of course, the folk music and the protest music of the ‘60s – Bob Dylan runs the gamut. And good old popular music, vocalists of 1940s and 1950s: Peggy Lee, Rosemary Clooney and Sinatra. My father actually had a nice voice, and he always had the radio on: there was always pop music, what they would call ‘easy listening’, and some light jazz. There was always “background music.” Like my mother, I used to dance around the room as a way of escaping my responsibilities. PC: What kind of music did your mother like? MG: She loved something with a beat, but she could be moved to tears by a Verdi chorus. I remember once playing a chorus from one of his operas, Nabucco, which was about Nebuchadnezzar, the Babylonian king who imprisoned the Jews, and there is a great song of the Jews wanting to go back to their homeland which is called the “Chorus of the Hebrew Slaves,” (“Va, pensiero”). It could drive my mother to tears, even though she did not know what it meant. She would hear something beautiful and she could be driven to tears just by the very beauty of the piece; she was sensitive to music. It is the great leveller. They should play good music at peace conferences. Instead of talking round the table they should give musical instruments to all the heads of state, bring a bit of harmony to proceedings. MG: You know Shakespeare did not trust people who did not like music! He talks about it in The Merchant of Venice. The man that hath no music in himself, is not to be trusted, he is ‘fit for treasons, stratagems and spoils.’ Shakespeare hastens to add, ‘let no such man be trusted.’ The man who cannot be moved by music is not someone to be trusted. PC: He may have a point. MG: It was music that first brought me into what I did and music will probably endure the most. It is hard to find me, at any time, where I do not have some song on my lips or humming something. I still love it, still love it, all sorts of music! Three questions I ask everyone I interview. MG: Oh my gosh! Hmmm…. Well I find the word that is most useful in my marriage is ‘darling.’ ‘Darling’ works – using it as often as possible, particularly at moments when it is least expected. I think it’s like a good massage: taking that word and massaging my spouse with it. Using it multiple times, in the course of our day, can really help. PC: Describe to me what would be your perfect day? MG: Well, I must say, I love a day that is full of many different things: a bit of exercise or a really fine meal, a nap, a bit of a read, doing something creative (whatever that is), stringing words together, writing something, playing a tune on an instrument. I also love rest. I love dinners with friends, good conversations with friends, the company of friends. Perhaps I spent too much of my youth being ambitious for the work, but that is one of the nice things about getting older, and appreciating the fact your days are numbered: you take time to do a few of the things you might not have done when you were younger. Going off somewhere and maybe having a quiet day with your friends. I did a bit of exercise this morning, have work to do and errands to run, but at some point I will make myself a wonderful meal, have a bit of alcohol, read something I really want to read – a day filled with these things. I adore working and I adore not working. When I am fully engaged in acting I want to do nothing else, and enjoy it immensely, but I also like constructing my own day without someone having to do it for me. PC: What can you not possibly live without? MG: I think probably a close and intimate relationship with a female – and I would say my wife but I am afraid to, because I know one or the other of us is going to have to face that day when we have to find a way to live without the other and I want to be able to do that. I want to be able to survive without her. I do not relish the thought but I am the type of person who likes being in a committed relationship. My wife has taught me that over so many years. PC: That is a testament to her that you feel that way. MG: Life would never be the same should she pre-decease me, and I would never go out just ‘looking for someone.’ But I also know I am someone who needs intimacy, companionship. My wife and I have discussed this. We want to be buried next to each other no matter what happens. I do not even want to imagine it, but it has to do with intimacy. I like intimacy despite the fear that goes with it; it is frightening to be with somebody because you are always setting yourself up for loss. When does intimacy become co-dependence? I haven’t a clue. I am always trying to strike a balance but that is something I can’t do without. PC: Oh, we didn’t talk about your fascination for trains! MG: Oh I talk too much about that! In fact this weekend I am going away for the weekend to a convention of train enthusiasts. I am giving some instruction there, a kind of clinic, if you will, to other scale model railroaders. It’s a PowerPoint presentation I’ve put together pertaining to model railroading. PC: I liked the story about your grandfather bringing home the crockery from the buffet car when it was cracked, or damaged or faded or whatever. MG: I still collect some of that, and even use it from time to time. It reminds me of the Golden Age of travel that I experienced as a boy, and has stuck with me all these years. I have a multitude of little hobbies that I enjoy doing, so when I’m not working I’m hardly desperate. PC: What was your grandfather’s job on the railway? MG: He worked in the switching yard where they assemble and disassemble freight trains. He was in charge of making sure trains were assembled in the right order. He was a very bright man but unfortunately he had to go to work to help support his mother because his father was a drunk, a hopeless alcoholic. My grandfather could easily have gone to college, but had to work to help support his family. He was a very bright man who put his talent to use in other ways. He was very well thought of by other employees, and did good work for the company. PC: I was particularly interested because both my grandfathers worked on the railway, one was a lengths-man, the other was a carpenter repairing the carriages etc. I have developed a bit of a fascination with pens and pencils because every time we visited him, he always had a pile of pens and pencils he had found down the sides of the seats. He would pass them onto us and I still get excited if I get a new pen. MG: Old fountain pens and such? PC: Yes, I am sure once he found a really special pen. I was just connecting that to your own story about the crockery. MG: There used to be a lot of very good pen companies here in the United States: Waterman and W.A. Sheaffer among them. Sheaffer made a fountain pen called the White Dot, a pen the company guaranteed for life. My father owned one of them, received as a graduation present, and I remember him telling me he could take mail it off to Sheaffer and they would fix it for free: replacing the reservoir, replacing the nib. It was an expensive pen, comparable to today’s best Mount Blanc, a beautiful black with a white raised dot on the barrel. PC: What happened to it? MG: I don’t know, as I have not seen it for years. I found it amongst my father’s things some years past, but I don’t know whether it wound up at my sister’s or somewhere else. Pencils are fun too, old mechanical pencils. PC: My son is a draughtsman so he has a thing about pencils also, though his work is all done on computers as is almost everyone’s nowadays. MG: Paula this has been an absolute pleasure. Thank you. PC: Yes, I have loved chatting to you, it has been lovely. You can follow Michael on Facebook, I’m sure he would be happy to receive any further questions or comments. Thanks also to my editor Davina Baynes.